Temperance advocate Carrie Nation once pronounced Mary MacLane “the example of a woman who has been unwomanly in everything that she is noted for.” MacLane was no doubt delighted with the description. 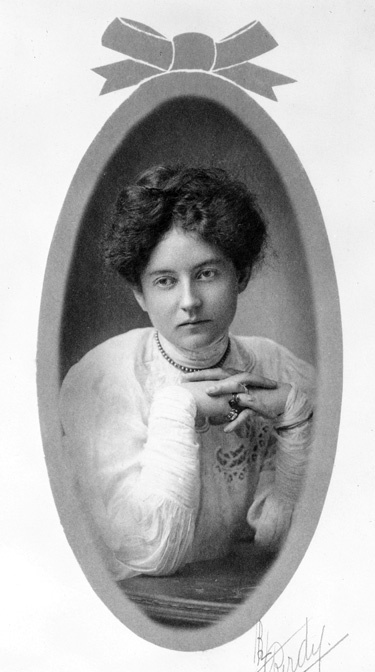 Writer, bohemian, and actress, Mary MacLane (1881-1929) was born in Winnipeg, Manitoba, and grew up in Butte, Montana. Best known for her two autobiographical books, The Story of Mary MacLane (1902) and I, Mary MacLane (1917), she also wrote features for newspapers, starred in a motion picture, and became notorious for her outrageous, unwomanly behavior. MacLane was the child of failed fortune. Her father died when she was eight; after her mother remarried, her stepfather took the family to Butte in search of riches. According to legend, on the eve of Mary’s departure for Stanford University, her stepfather confessed that he had lost the family’s money in a mining venture and could not afford to send her to college. 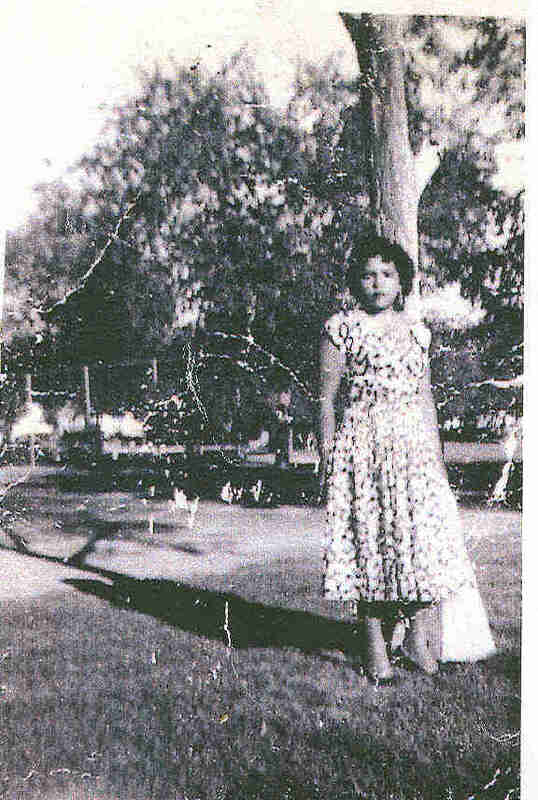 Whatever the truth, Mary did not attend college after graduating from Butte High School, but spent her days feeling restless and trapped, walking through Butte and recording her thoughts in her diary. In 1902, she sent the handwritten text to a Chicago publisher, Fleming H. Revell Co, under the title, I Await the Devil’s Coming. The editor who read the piece judged it the “most astounding and revealing piece of realism I had ever read.” But it was not the kind of material that the Revell, “Publishers of Evangelical Literature,” brought to the market. Fortunately, the editor sent it to another publisher, Stone & Kimball, who released it as The Story of Mary MacLane. Within a few months the book had sold eighty thousand copies, and MacLane may have earned as much as $20,000 in royalties in 1902 (approximately $500,000 in 2013 dollars). The WPU represented women who worked in service industries, including waitresses, cooks, maids, elevator girls, and janitors. By the 1940s, the union had won eight-hour shifts, the right to overtime pay, sick leave, and paid vacations for its members. Above, a WPU member is shown working the candy counter at the Rialto Theater. PH088 W.P.U./H.E.R.E. Photograph Collection, Butte-Silver Bow Public Archives. In what must have been an unusual sight on a June evening in 1890, thirty-three women walked into the Butte Miners’ Union hall. They were waitresses, dressmakers, milliners, and saleswomen, and they had gathered to organize a protective association for Butte’s women workers. As the Butte Daily Miner reported the following day, “The ladies of Butte—God bless them!—are not going to be behind their brothers in demanding their rights.” From its inception, the Butte Women’s Protective Union (WPU) labored to improve the conditions of women’s work and to extend a network of support and friendship to Butte’s working women. Betty Jo Houchin and Ruby Larson used their informal network to organize a picket of St. James Hospital in July 1971. 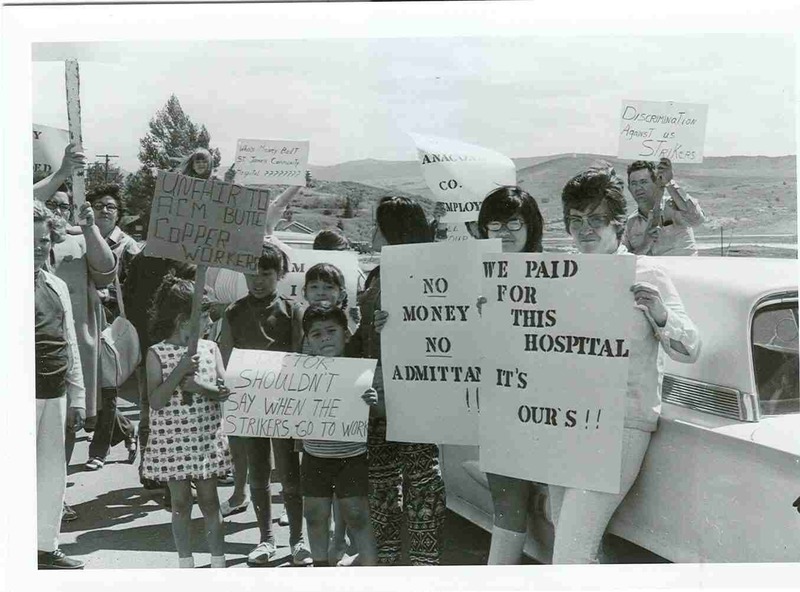 Their husbands were both on strike when the women decided to protest the hospital’s decision to treat strikers and their families “only on an emergency basis” because striking workers were not covered by the Anaconda Company’s health insurance. Photo courtesy of the Montana Standard (July 4, 1971). 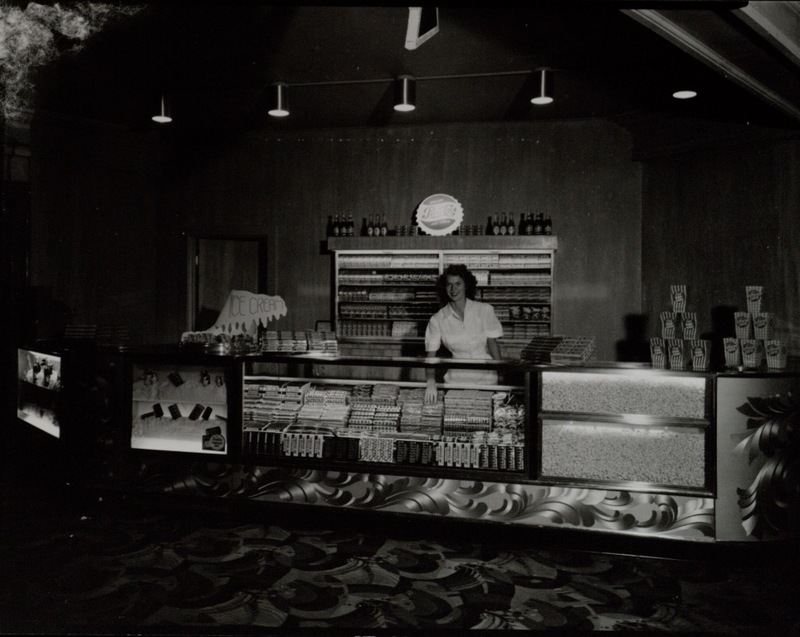 Although excluded from most jobs in the mines and smelters of Butte and Anaconda (with the short-lived exception of female smelter workers in World War II), women played integral roles in the survival of these company towns. The success of each community depended on the wages of laborers who toiled for the Anaconda Copper Mining Company. 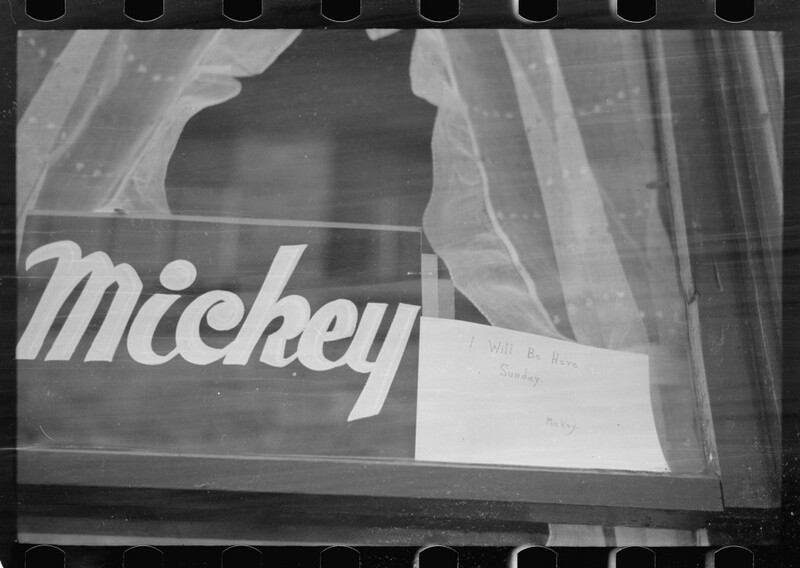 When those wages were threatened—during strikes or company shutdowns—the entire community mobilized. During periods of conflict, women’s contributions to the household economy became especially significant, as women pinched pennies and took on paid employment to help their families survive. These and other activities in support of labor were crucial to community survival, but men’s resistance to women’s full participation in union efforts also reveals the prevalence of conservative gender ideals in mid-century Butte and Anaconda. Pictured here in 1945, Rose Hum Lee became a sociologist, who used her academic training to document Butte’s Chinese community. Courtesy of the Mai Wah Museum in Butte, MT. 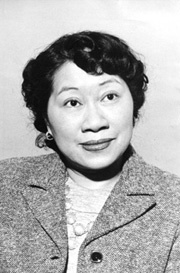 Born in Butte in 1904, Rose Hum Lee earned a B.S. in social work from Pittsburgh’s Carnegie Institute of Technology and completed a doctorate in sociology at the University of Chicago. Her dissertation—The Growth and Decline of Rocky Mountain Chinatowns—was published in 1978. Because her work was largely based on the experiences of her own family and childhood, her scholarship offers invaluable insights into the lives of Chinese women and families in Butte during the first four decades of the twentieth century. The daughter of merchant Hum Wah Long and his wife, Lin Fong, Rose Hum Lee, like other Butte-born Chinese American children, attended Butte’s grammar and high schools, where she distinguished herself academically. Additionally, the fact that her father was one of the city’s most prominent Chinese businessmen conferred a level of respect on the Hum family.